The Liberian Limited Partnership is a partnership having as members one or more general partners and one or more limited partners. The limited partners are not bound by the obligations of the partnership. While a general partner has unlimited liability, the limited partner’s liability is restricted only to the amount of his investment in the Limited Partnership. Limited partners are not liable for the debts,obligations and liabilities of the Limited Partnership. Limited partners may not act to control the Limited Partnership. Limited partners can be easily replaced without cancellation of the Limited Partnership. 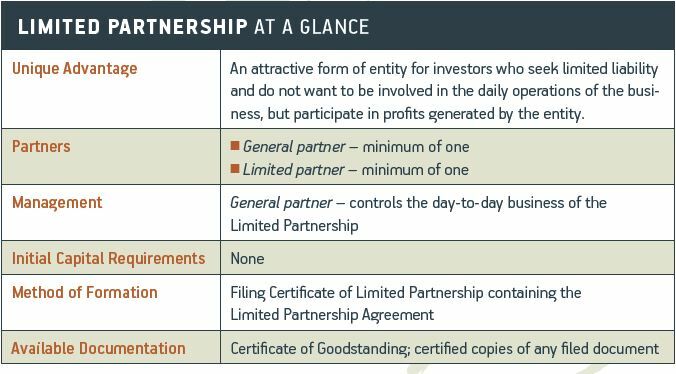 Limited Partnerships are taxed on a pass-thru basis to the partners. All income derived from the Limited Partnership is not taxed on an entity level. Limited Partnerships are often formed by business owners involved in real estate, manufacturing and other business ventures.